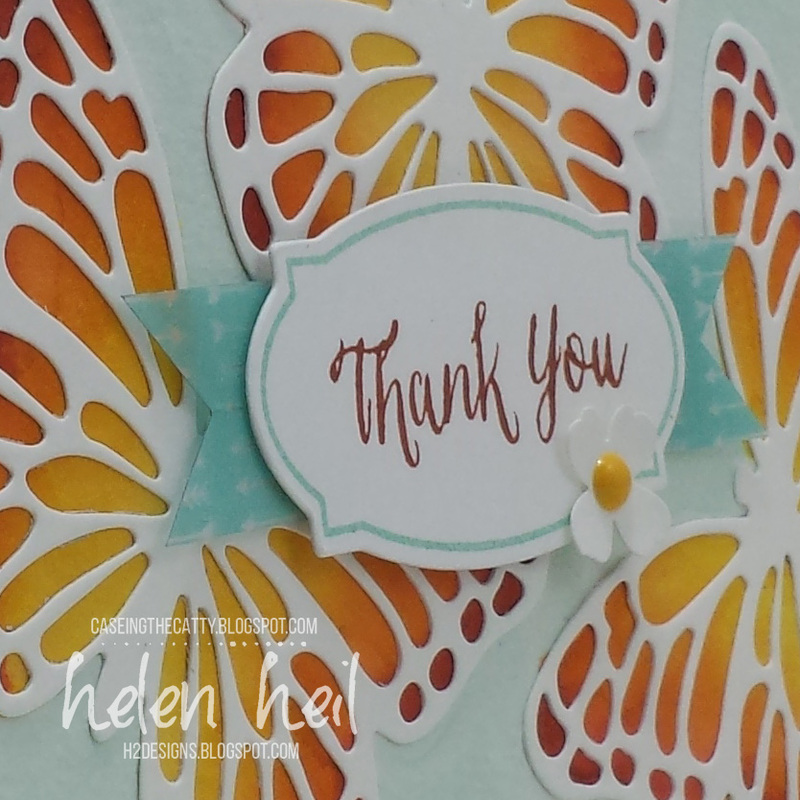 H2 Designs: CTC68 - Love Blossoms with Butterfly Framelits! CTC68 - Love Blossoms with Butterfly Framelits! So hello & welcome to this week's CASE-ing the Catty's Blog Hop! This week the CTC Crew are choosing a project from the Love Blossoms section (pages 16-25) of the Occasions Catalogue to CASE. Instead of the stunning Rose Garden Thinlits Dies as per the sample, my card features the Butterfly Thinlits Die from the Annual Catalogue. 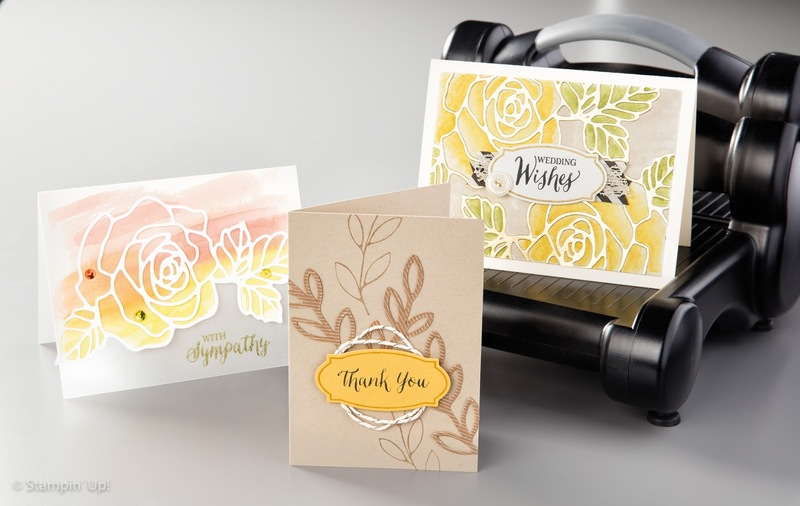 I have used thick Whisper White cardstock die-cuts over a watercoloured base. The sentiment panel has multi-coloured stamping & a small punched flower with an enamel dot centre. This panel is then layered on a banner cut from washi covered window sheet. I also added an extra mat to my design to give some more distinction between the pool party watercolouring & the white card base. To create the watercoloured panel, I used the waste cardstock from the Butterfly Framelit die-cut as a stencil & traced inside the opening with grey lead pencil to get an outline for each butterfly. Using Pool Party ink from the stamp pad lid & an aquapainter, I then painted in the background. Once this was dry, I erased the pencil lines & coloured the butterflies the same way as the background, using Crushed Curry, Tangelo Twist & Cajun Craze inkpads. Once the entire sheet was dry, I attached the butterfly die-cuts, trimming to suit the panel. If you are feeling inspired, we would love you to CASE a project from the Love Blossoms section (Occasions Catty pages 16-25) & link it up in the gallery on this CTC post (click on the icon below). At the end of each month, the Crew will choose a Winner.